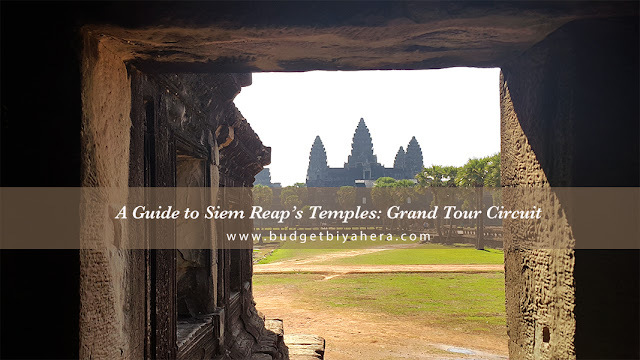 Explore dozens of temples and ruins in Siem Reap, the gateway to the Angkor temples. 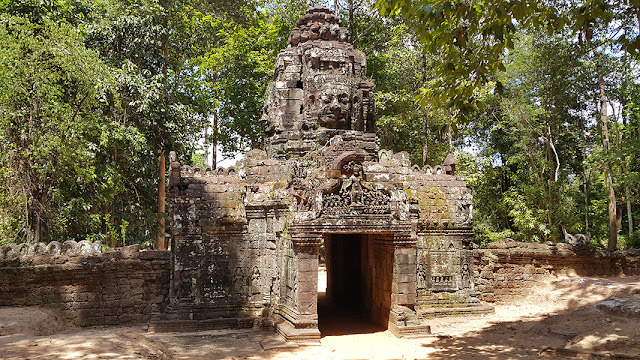 Discover what the Angkor Archaeological Park has to offer by getting on an adventure-packed day by trying the Small Tour Circuit and.or the Grand Tour Circuit (recommended to do both when traveling to this side of Cambodia). TIP: Try to get on the Grand Tour Circuit first as it offers the longest route. 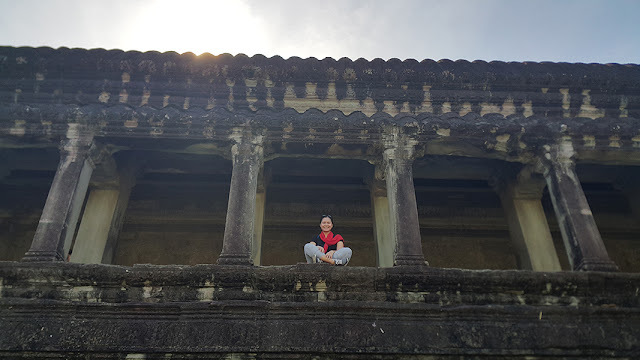 Aside from the Angkor Wat (the famous temple complex), the Grand Tour Circuit also leads to other captivating sites such as Pre Rup, East Mebon, Ta Som, and Neak Pean. You can start your tour at Angkor Wat and end it at the south gate of Angkor Thom. Located inside a 195-hectare area, the Angkor Wat Temple shows a rare and sacred architectural design. Its famous three-tiered pyramid that's topped by five lotus-like towers is also one of the most well-recognized structures in the world. Angkor Wat was initially dedicated to Vishnu (a Hindu God) until it was changed into a Buddhist temple later on. Pre Rup, a significant ruin in the park, leads into some of the most beautifully carved and well-preserved doors. Historically, Pre Rup was the second temple built (constructed late 10th century C.E.) after the Khmer capital was returned back to Angkor. East Mebon was built (constructed late 10th century C.E.) under the rule of Rajendravarman II. It was created to honor the king's parents and to Shiva, the Supreme Being. You'll immediately recognize this sacred structure by its five tall towers (standing three levels high), and by its elegant lintel carvings. 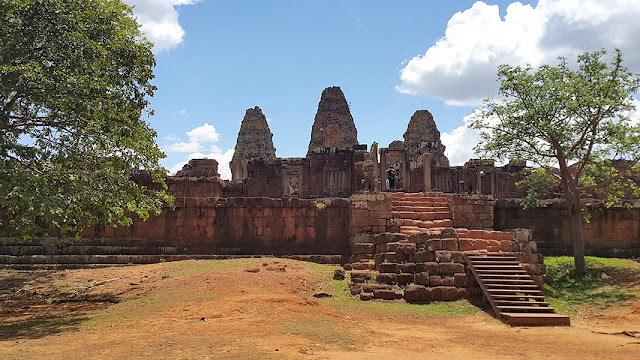 Ta Som (a mini version of Ta Phrom), a small yet significant ruin, is a Bayon-style monastic complex, which consists of face tower gopuras (monumental towers) and flat enclosures. It's also one of the farthest to reach in the Grand Tour circuit. One of the highlights of our visit to Ta Som was seeing this picturesque, giant tree that grew from the top of the eastern gopura. Neak Pean, which is a small temple island dedicated to Buddha, can be easily identified for its nagas (also known as coiled serpents) that surrounded the temple. It also rests on a lotus pattern that consists of eight pools. Make sure that you visit Neak Pean during the wet season. 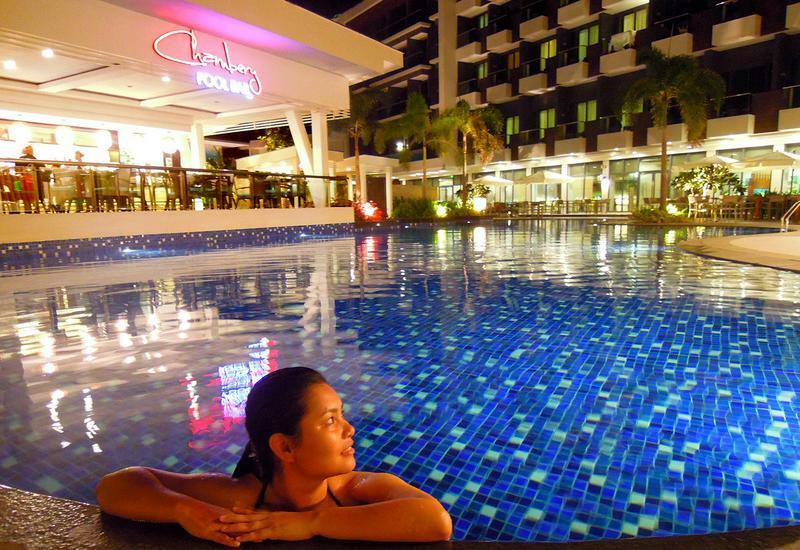 It's when the pools are filled with water, and where the view of the island is more spectacular. 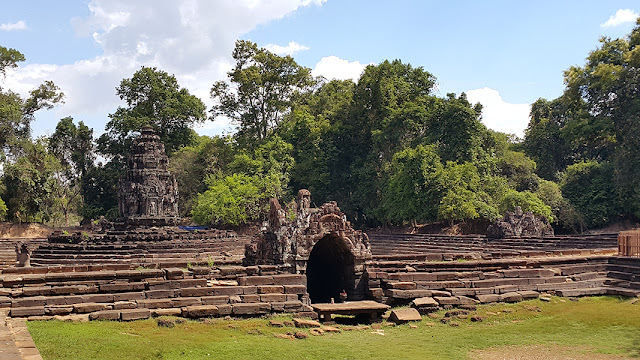 Angkor Thom, which means Great City, was the last surviving capital of the Khmer empire (established as the center of Jayavarman VII's nation). 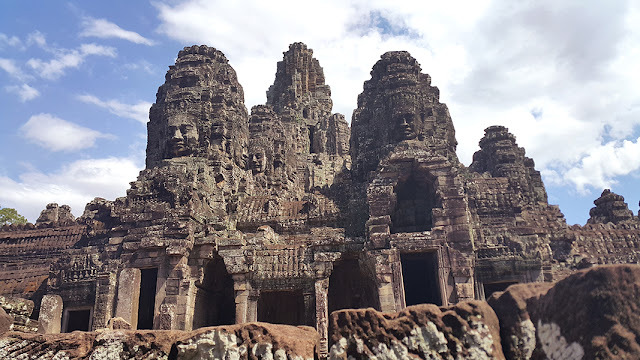 You can access it through several gates, which leads to the Bayon temple in the city center. 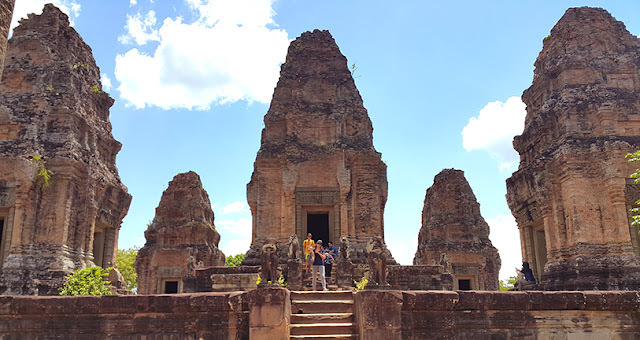 Other than the Bayon, you will also find some of the most well-known temples like Baphuon, Terrace of the Elephants, Terrace of the Leper King, and Phimeanakas (among other significant monuments). You can visit Angkor Thom via the Small or Grand Tour Circuit. TIP: You can explore Angkor Thom via the Small Tour Circuit. There will be plenty of monuments to see in this area alone, so make sure to list down only the ones that you would like to see to avoid getting temple fatigue.